Songwriter and saxophonist Jim Pepper adapted the song "Witchi Tai To" from an ancient peyote chant that he learned from his Native American grandfather. 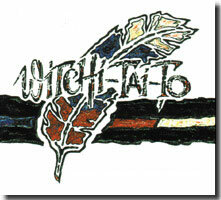 "Witchi Tai To" was first recorded by Pepper's group, the short lived, Everything Is Everything. The group's producers encouraged Pepper to express his Native American heritage in his music, and helped him work out the arrangement and English translation. To this day "Witchi Tai To" is the only hit in the history of the Billboard pop charts (reaching #69 in 1969) to feature an authentic Native American chant. Brewer & Shipley first heard Everything Is Everything's original of "Witchi Tai To" on Clyde Clifford's legendary "Beaker Street" on KAAY-1090 beaming out of Little Rock, Arkansas. 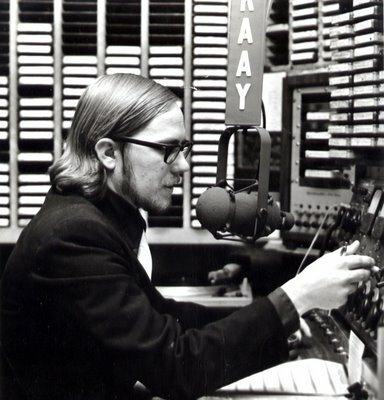 KAAY's cult status was forged in the late 1960s, when, after 11:00 p.m. each evening, the station abandoned their standard Top 40 format for three hours of underground music with the program "Beaker Street." 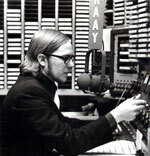 KAAY's nighttime AM signal (50,000 Watts) extended its reach to much of the midwest, and as far away as Canada and Mexico, leading to its nick-name "The Mighty Ten Ninety." Brewer & Shipley tuned in to listen to "Beaker Street" as they were traveling between gigs all over the midwest. It is understandable that Brewer & Shipley would misinterpret some of the lyrics listening to "Witchi Tai To" on their car radio late at night. The irony is that they got all the Native American lyrics right but misheard the adapted English lyrics. Michael Brewer explained, "While we were traveling all over the heartland late at night, that [Clyde Clifford's Beaker Street] would be one of the only things we could get on the radio. 'Witchi Tai To' was getting a lot of airplay, and we just loved it, 'cause Tom and I have always been into Native American culture and music. I'm from Oklahoma, so I grew up with it all around me. We learned it off the radio, and sang phonetically. I think we got the Indian part right, but I don't think we're singing the English right to this day." Brewer & Shipley's version of the song from their Weeds album got heavy FM airplay, and in some circles is the more well known version. It was even mentioned in Jim Pepper's obituary in the New York Times.